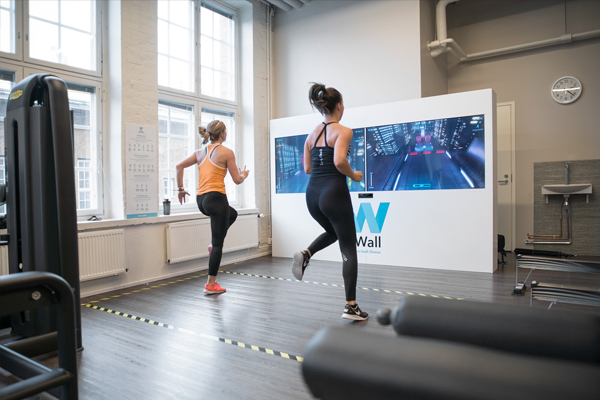 Buy I-Wall Exergames at Low Cost. Contact us Today! 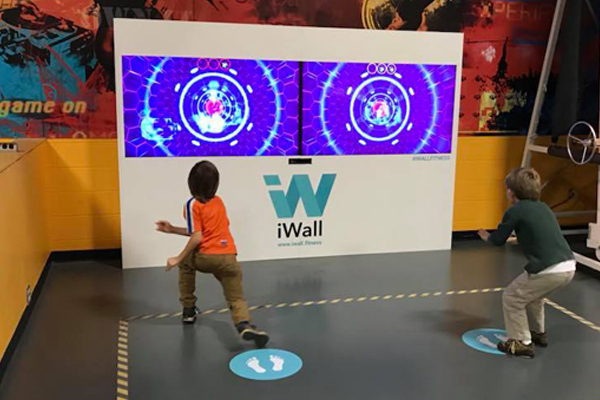 iWall transforms the player's body into a game controller using high quality graphics and engaging interactive games to challenge players to use their body movements and gestures to control gameplay. 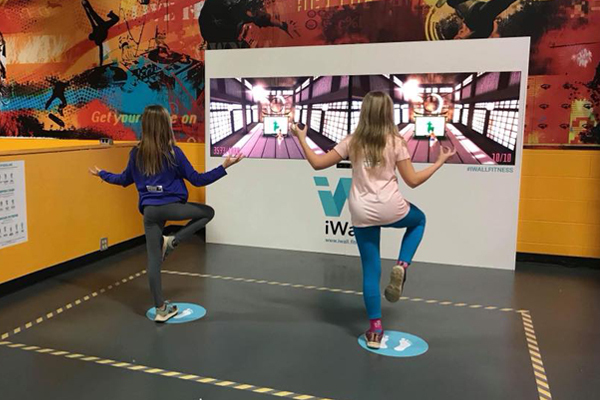 Suitable for all age groups, the games challenge 1-2 players at a time through exergaming (motivational exercise and physical activity). 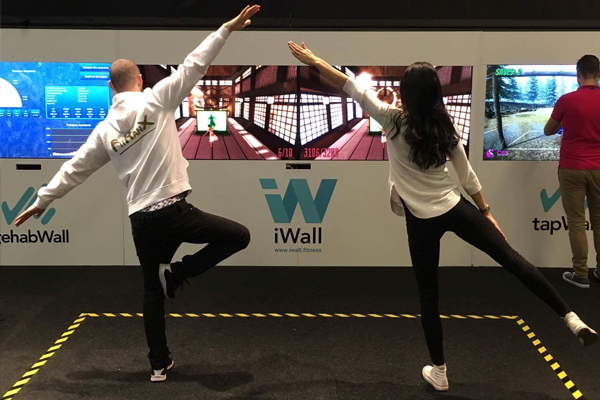 The iWall comes with four preloaded games – Parkour, Shadow Master, Space Shooter, and Deepsea Dash. (Space Shooter tests the players' upper body endurance, while Shadow Master challenges their body control.) Parkour challenges players to race across virtual skyscraper rooftops and find the best route to beat other players. Players can move left or right to avoid obstacles and they can crouch, jump or use zip lines to find the best possible route. Additionally, running in place increases the avatar's speed remarkably, which is the key factor in determining the winner. Suitable for almost any environment - schools, gyms, airports, malls, activity parks and much more. 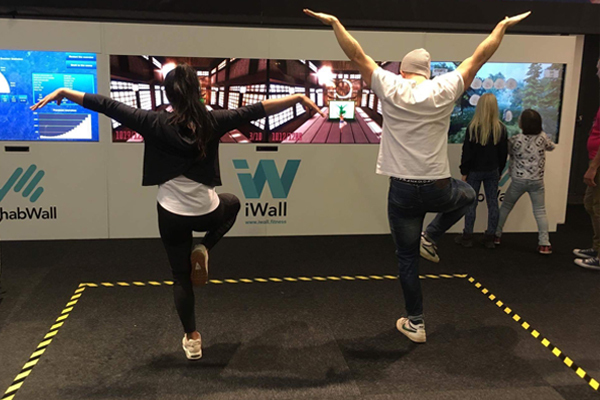 The iWall is a safe and engaging exergame platform that's easy to play and to maintain. 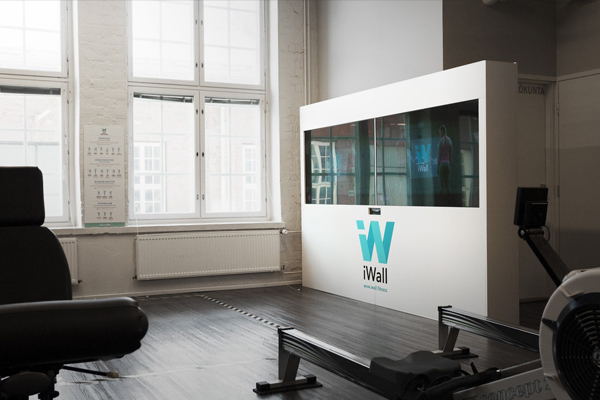 * Add the games and function of TapWall to iWall Compact to make a dual function game system.